Current Affairs from PIB, The Hindu and Indian Express. The first image of Black Hole released. An international scientific team on Wednesday announced a milestone in astrophysics revealing the first-ever photo of a black hole. 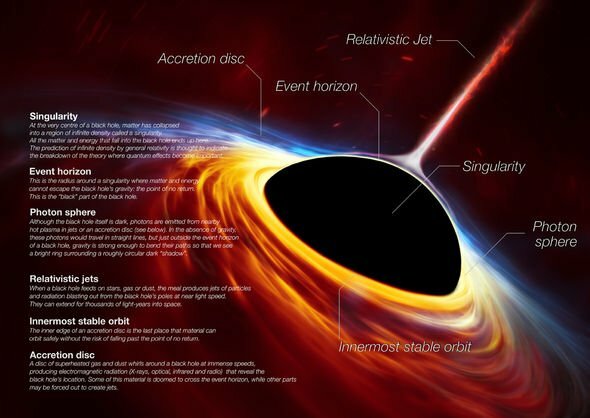 The research was conducted by the Event Horizon Telescope (EHT) project, an international collaboration that began in 2012 to try to directly observe the immediate environment of a black hole using a global network of Earth-based telescopes. Using data from six telescopes located across the world, the scientists involved in the Event Horizon Telescope (EHT) project have imaged the Sagittarius A* — the black hole located at the centre of the Milky Way galaxy — and another massive black hole 53.5 million light-years away in galaxy M87,in Virgo galaxy cluster. Black holes are powerful wells of gravity, which have been around since shortly after the Big Bang or are created when stars collapse in on themselves. Black holes are incredibly hard to comprehend objects because they warp the time-space around them unlike anything else in the universe. At the centre of each black hole is a singularity or a point where the black hole’s density is infinitely squeezed into an infinitely small amount of space. Around a black hole is also the so-called event horizon, which is a point of no return past which escaping a black hole's gravity is impossible. Albert Einstein first predicted black holes in 1916 with his general theory of relativity. The term "black hole" was coined in 1967 by American astronomer John Wheeler, and the first one was discovered in 1971. There are three types: stellar black holes, supermassive black holes and intermediate black holes. Monsoon rains in India are expected to be below normal this year, the country's only private weather forecasting agency said on Wednesday, dampening prospects of higher farm and economic growth in the $2.6 trillion economy. The monsoon season delivers about 70 per cent of India's annual rainfall and is key to the success of the farm sector in Asia's third-biggest economy. In February, Skymet said monsoon rains in India are expected to be normal this year. Indian's top government weather official said last month that monsoon is likely to be a robust and healthy one this year provided there isn't a surprise El Nino phenomenon. "MONSOON" has originated from the Arabic word “MAUSIM” which means season. It is most often applied to the seasonal reversals of the wind direction along the shores of the Indian Ocean, especially in the Arabian Sea, that blow from the southwest during one half of the year and from the northeast during the other. India defines average, or ‘normal rainfall’ as between 96-104% of Long Period Average (LPA). Anything less than 90% is a ‘deficient monsoon’ while 90-96%is considered ‘below normal’. An average between 104-110% is ‘above normal’ and anything above 110 is ‘excess’. LPA is a 50 year (1951-2000) average of 89cm for the entire four-month season beginning June until September. Why the super computer based weather forecasting is not so accurate? Because most of the time super computer language i.e. Algorithms is not accurately deciphered. Let us see if Skymet ‘foretells’ better than other agencies whose forecast in the last decade has not been so accurate. The US State Department on Monday barred entry to 16 Saudi nationals over what it described as their role in the murder of journalist Jamal Khashoggi as the administration of Donald Trump continues to face harsh criticism over its handling of the affair. The International Monetary Fund (IMF) has projected that global growth will be 3.3% in 2019, down from 3.6% in 2018 and 4% in 2017, IMF Chief Economist Gita Gopinath told the press at the release of the World Economic Outlook 2019 April report, at the start of the World Bank IMF Spring Meetings. This lower projection is due to lower global expansion in the second half of 2018 caused by U.S.-China trade tensions, macroeconomic stress in Turkey and Argentina, tighter credit policies in China and financial tightening plus a normalisation of monetary policy in advanced economies.